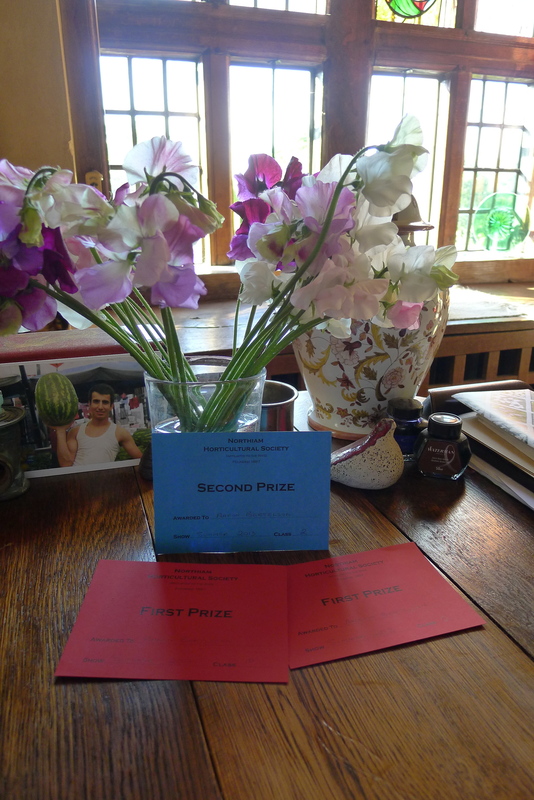 It is not often that you can say you work with prize winning vegetables, but I now can, we got a first at the Northiam Horticultural Society Summer Show for our Red Leaf Lettuce, also first with our Artichokes and a second prize for the Sweet Peas, if this does not bring the people in, I am not sure what will. 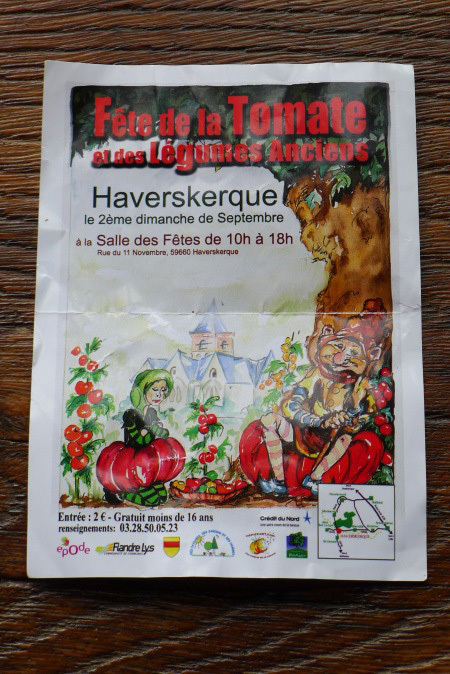 We must have had some French visitors who posted this poster on the fruit cage, I do think they must have felt I should go to this Tomato event in France to learn how to grow them, maybe what I need, a Tomato 101 class. I have to say the plantshave also got as tall as two inches, watch this space….. 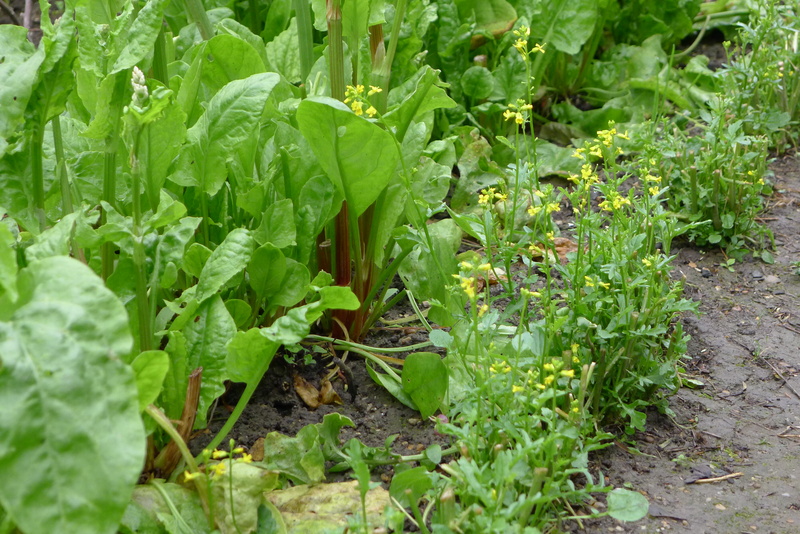 It seems that the best way to deal with American Land Cress when it runs to seed is to take it out and start again in the late summer, we did try and cut it back when it ran to seed but it has come up about an inch tall and already has flowers, It really is a great crop to grow for greens in the winter as it seems to get good strong taste with the cold, just cover it from pigeons. Last year the seed for this was sown on 15/08/12, Thompson and Morgan sell the seed. 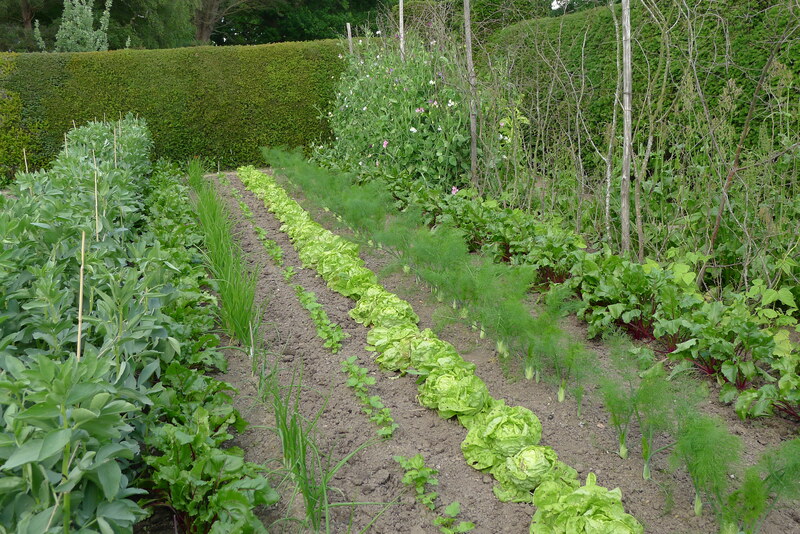 We had a day of sorting out in the High Garden, the last of the winter salad which has done us very well up till now has gone to the compost, it was about to break into flower, that is always a sign it is ready to be cut back or taken out and since we now are getting lots of good summer salad, we took it out, it made way for another three rows of summer crops, they are Spinach ‘Tetona F1 Hybrid’, from Thompson and Morgan, Florence Fennel F1 ‘Rondo’ from Moles Seed and Beetroot ‘Boltardy also from Thompson and Morgan. 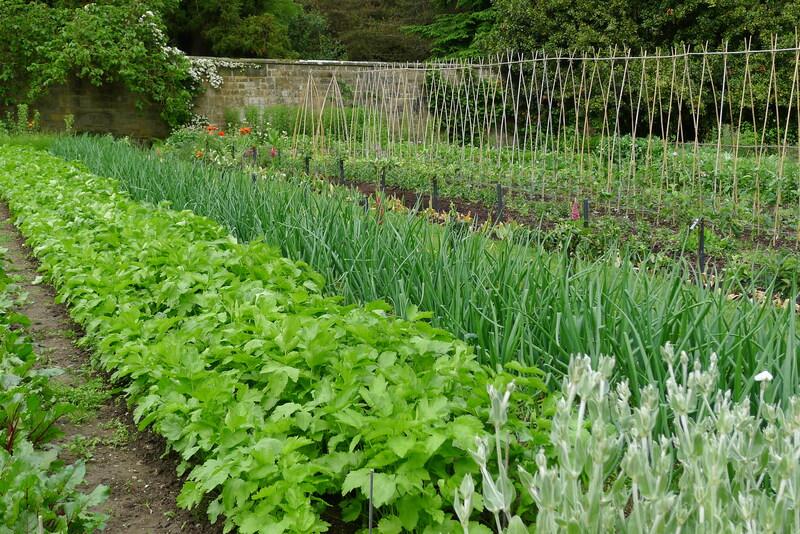 If this sowing of Spinach takes it will be the first lot this year for us. 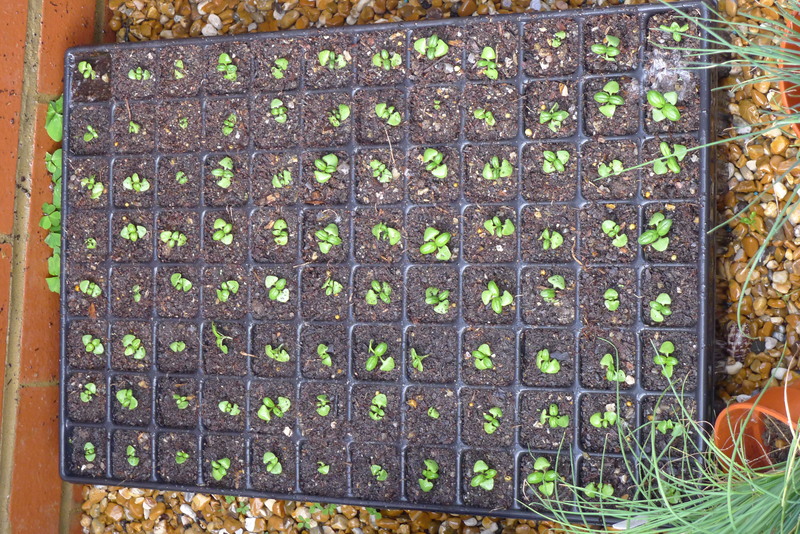 We planted Basil ‘Sweet Green’ on the 27/03/13 and it took a rather long time to get going but it come up and then seemed to sit again, last week it was time to move them onto the plug trays , what I found was a lot of plants with a very weak root system, most had to be put on the compost, I did get 98 small plants, I am going to try and grow them different this year. I will water them every three days, the days between I hope they will dry out, my only worry is, what are the plants going to do when out in the soil, will the summer be too cold for them? I love fresh Basil but find it hard to get going on our heavy soil. The use of fleece is something I have been thinking a lot about of late, with this new weather pattern it maybe needed to get things moving, it was brought home to me yesterday while walking around the walled vegetable garden at Gravetye Manor with Tom, and seeing just how well his crops are doing, not only does he have the heat from the walled garden, you really do feel it when you walk in the gates but he uses fleece for a lot of his crops, I was very happy with how well the Parsnips are doing here till I saw his, at least a month ahead of mine. My major problem with fleece is the look it gives the garden, we have so many more people here but I may have to rethink the whole thing next year. Why do we grow soft summer fruit in a Fruit Cage, it seems that we use it not only to stop birds but also dogs from eating Toms strawberry’s, we went over to have the look at the garden at Gravetye Manor and to see how well Tomato King is getting on, very well, I would hate him to see mine. 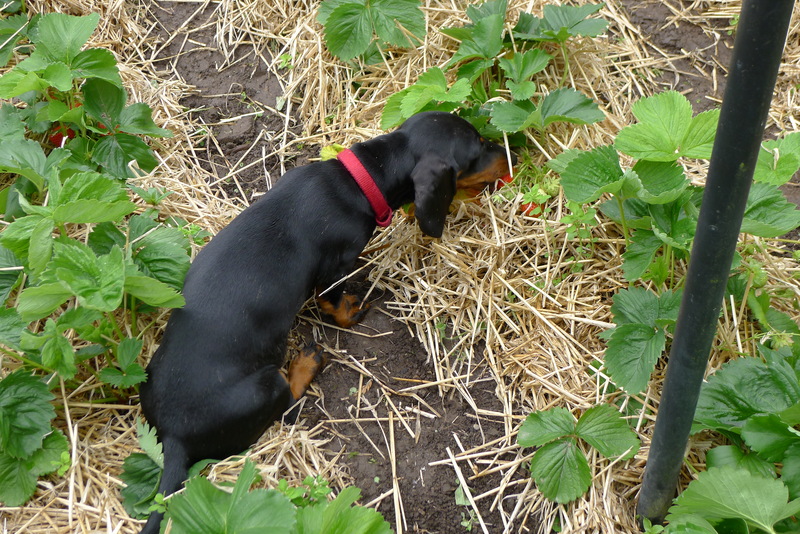 I had the dogs with me, we went to have a look at the fruit in the cage and Miscanthus took a liking to a ripe strawberry, I had to hold back to get one myself (get someone to ask Tom a question and he turns his back, that is the moment to pick), Tom holds all the fruit and veg for the kitchen, lucky them.